Popular American football running back who plays for the Washington Redskins of NFL (National Football League) is named as Adrian Peterson. He started his career from his college and was later drafted by Minnesota Vikings in the 2007 NFL. He also got the award for the performance on the Pro Bowl, received the AP NFL Offensive Player Of the Year Award for 2012 and also, achieved the No. 1 spot on the NFL Networks Top 100 Players of 2013. 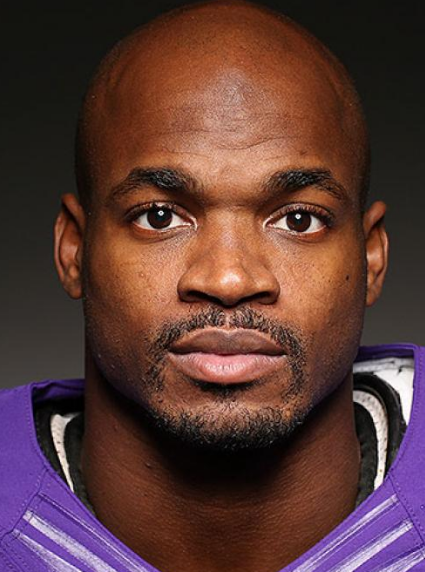 For the 2018 season, Peterson signed with the Washington Redskins. Adrian Peterson scores the longest touchdown of his career. Running back Adrian Peterson #26 of the Washington Redskins runs for a 90-yard touchdown against the Philadelphia Eagles during the second quarter at Lincoln Financial Field on December 3, 2018, in Philadelphia, Pennsylvania. Adrian Peterson has shown again that the 33-year-old running back isn’t quite at the end of his career. This time, the Washington Redskins running back took a handoff and ran 90 yards for the longest touchdown of his career. The touchdown put Washington ahead of the Philadelphia Eagles 10-7 in the second quarter Monday (Dec. 3). Mark Sanchez handed off to Adrian Peterson for a touchdown, and the Internet lost it. There is a certain sort of news headline in the year 2018 that has long since become a cliche: “This mildly weird thing happened, and the Internet went crazy/went wild/lost its mind/ripped its brains out and turned them into flammable firework brains and launched its burning brains into the sky”. To make records such as NCAA freshman rushing record with 1925 yards, set an NFL record for most rushing yards in a single game (296), became only the fifth player in NFL history to have more than 3,000 yards, became the fifth fastest player to run for 5,000 yards, sixth fastest player to reach 8,000 rushing yards, third-fastest player to reach 10,000 rushing yards. On 21st March 1985, Peterson was born in Palestine, Texas the city of America. He was born to Nelson Peterson and Bonita Brown, his father, and mother. His nationality is American. His father nicknamed him “All Day,” because according to his father he could go all day. He grew up in a Christian family. His father was arrested and sentenced to 10 years imprisonment for laundering drug money when Adrian Peterson was 13 years. He also has siblings named Jaylon Brown, Brian Peterson, Derrick Peterson, Eldon Peterson. His Zodiac sign is Aries. Regarding his education, he attended the Palestine High School and graduated from Oklahoma College. Peterson has got a very athletic, strong as well as muscular body. He stands 1.85 m tall and his weight is 100 Kg. He has a balanced height and weight. His balanced weight is 102 Kg. His hair color is dark brown and the eye color is also the same. With his charming smile and glowing face, he attracts a lot of people towards him. His other body measurement will be updated very soon. On 15th January 2007, he declared that he would forgo his senior year of college and enter the 2007 NFL Draft. Peterson and the Vikings entered the 2008 season where Peterson set high goals for himself including a 2,000-yard campaign and the NFL MVP award. In the 2009 season, analysts of both the NFL Network and ESPN unanimously named Peterson the best running back in the NFL today. He opened the 2010 season strongly with 392 yards and three touchdowns through the first three weeks. On 10th September 2011, the Vikings signed Peterson for $96 million over the course of seven seasons. According to NFL.com, he was ranked as the third best player in the NFL for the 2011 season. He was also named to his fifth career Pro Bowl and was named as a First Team All-Pro for the third time in 2012 season. He earned second place in NFL Comeback Player of the Year award voting in 2012 season. He opened his 2013 season by taking his first carry of the year 78 yards for a touchdown against the Detroit Lions. He opened his 2014 season rushing for 75 yards against the St. Louis Rams. Five days later, on 12th September 2014, he was indicted on child abuse charges. On November 18, the NFL announced that Peterson would be suspended for the remainder of the 2014 season without pay. On 26th February 2015, Peterson was reinstated to the league after U.S. District Court Judge David Doty ruled in the NFL Players Association's lawsuit against the NFL on Peterson's behalf. After that, he suffered from a right knee injury. On 28th February 2017, the Vikings announced that they would not exercise Peterson's 2017 option on his contract. 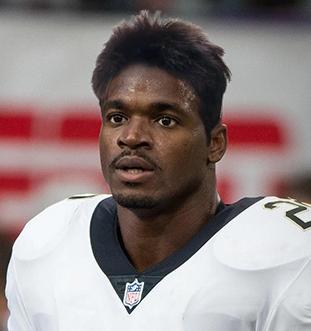 On 25th April 2017, Peterson signed a two-year, $7 million contract with the New Orleans Saints. He played his first game with the Saints on 11th September 2017, against his former team, the Minnesota Vikings. On 10th October 2017, Peterson was traded to the Arizona Cardinals. In the 2017 season, he finished with 529 rushing yards, two rushing touchdowns, 11 receptions, and 70 receiving yards. Peterson then signed with the Washington Redskins on August 20, 2018, following a number of preseason injuries to their running backs. In Week 3, in a 31-17 victory over the Green Bay Packers, Peterson had 19 carries for 120 rushing yards and two rushing touchdowns. In Week 8, Peterson rushed for 149 yards on 26 carries, including a 64-yard touchdown in a 20-13 win over the New York Giants, earning him NFC Offensive Player of the Week. The net worth of Peterson is estimated to have $30 Million and his annual salary is $14 Million. He is earning a good amount of money from his work. He is satisfied with his earning. He is also very successful in his personal life as well as career life. He is making a good amount of money and enjoying his life from the money he earned. Peterson is a married man. He is married to Ashley Brown in the year 2014. The couple is blessed with 4 children named Tyrese Robert Ruffin, Adrian Peterson Jr., Axyl Eugene Peterson, Adeja Peterson. The couple is living a happy life and there is no any sign of separation between them. The couple is enjoying their life a lot with their children and also the couple is spotted in public places. Peterson then signed with the Washington Redskins on August 20, 2018. On 12th September 2014, he was indicted on child abuse charges.